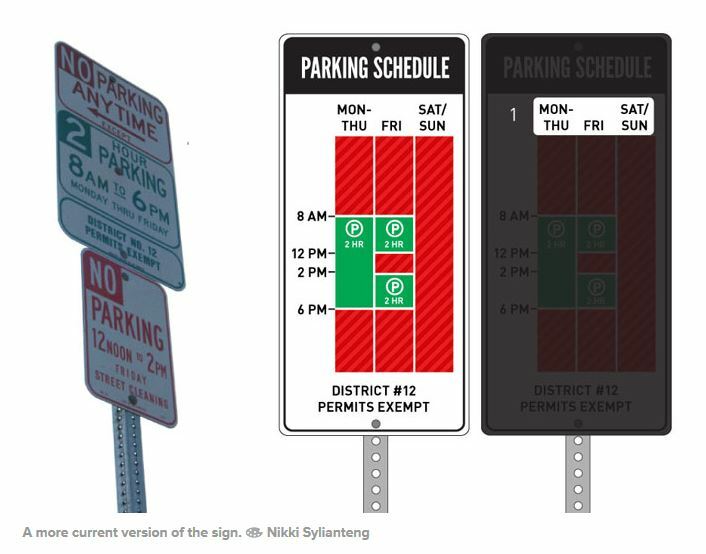 User Experience Design is pretty much everywhere—even parking signs, for example. Have you ever gotten a ticket due to a confusing sign? According to an article in Wired, Brooklyn-based designer Nikki Sylianteng was tired of racking up parking tickets, and decided to take matters into her own hands. Take a look at the original sign on the left. Note how confusing this would be to an urban driver. Sylianteng simplified the information into one easy-to-read sign. Sylianteng ran her own user testing by posting the signs herself and asking the public to comment. 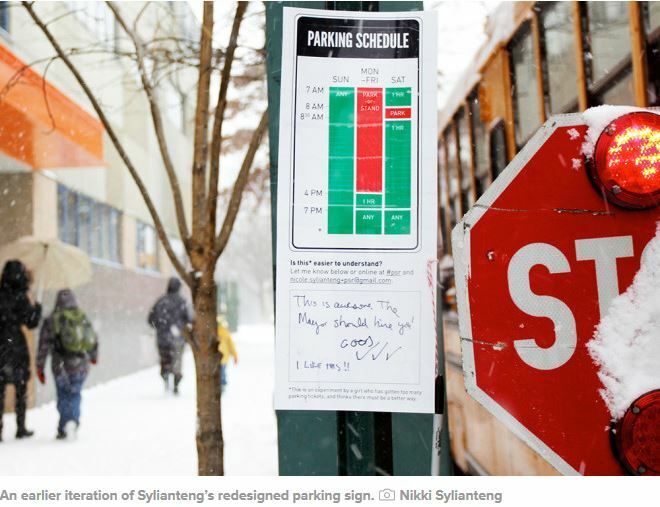 Tags: design, Nikki Sylianteng, parking signs, usability, ux, ux design, Wired. Bookmark the permalink.